You guys. It has been a week of weeks. I could not be happier to see Friday. As you know, I was in jury duty on Monday and Tuesday. I never got called for a case. I did get pulled in to one jury pool and was questioned for like a bajillion hours, but ultimately wasn't selected for the jury. Whew. If I would've been selected, I would've been listening to the case for at least one more day. It was an interesting experience, but I'm not disappointed that I have to wait at least four years to do it again. Also, Callum's been fighting a cold all week and it has been ruining our nights. He's been up three or four times the last few nights and is need of extra snuggles to get back to sleep. His naps have also sucked. You'd think he would nap longer since he hasn't been sleeping at night, but obviously it never works out that way. Why is that, mommas!?!?! WHY?? I'm so looking forward to getting our lives back to normal this weekend. My brother, Andy, and his fiancé, Anna, are coming in to town from Minneapolis, and we've got all kinds of fun family stuff planned for the weekend. To kick things off, here we go with this week's favorites. 1. 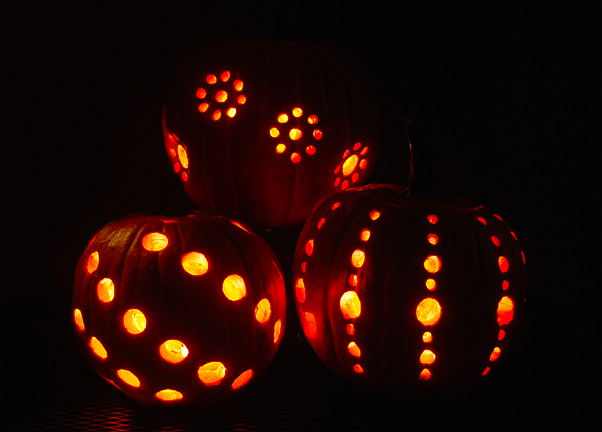 Pumpkin Carving with a Drill. We're planning on carving pumpkins this weekend, and I think I'm going to try using a drill to carve. I love the way these pumpkins look. I'll be sure to share how it turns out. I'm envisioning Callum highjacking my drill and ruining everything, but such is life with a twonanger. 2. Fit4Mom, the country's largest fitness program for moms, is coming to the Milwaukee area! You guys. This is awesome. It can be so difficult for moms to find the time to work out. At Fit4Mom, you can bring your kids with you. It's perfect. The grand opening for the Brookfield/Tosa location will be held on November 11. The festivities will include a free Stroller Strides class, swag bags for everyone who registers, and an activity for the kiddos after class. 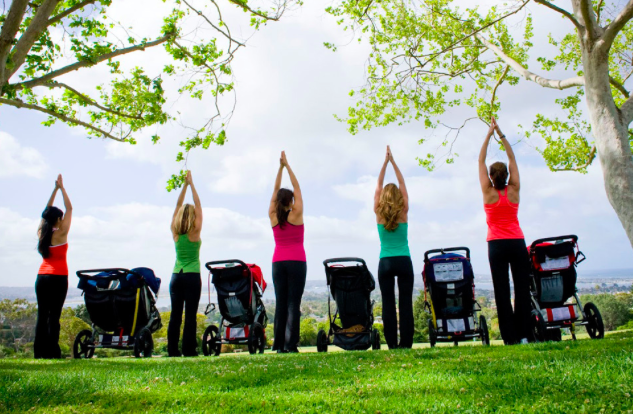 From their website: Stroller Strides is a total body fitness program that moms can do with their babies. It includes jogging or power walking and intervals of strength and body toning exercises using exercise tubing, the stroller and the environment. I will definitely be there. I hope you can join me! I'm sure Callum won't sit as still as the "kids" in the photo below, but I'm sure it'll be a great workout nonetheless. 3. 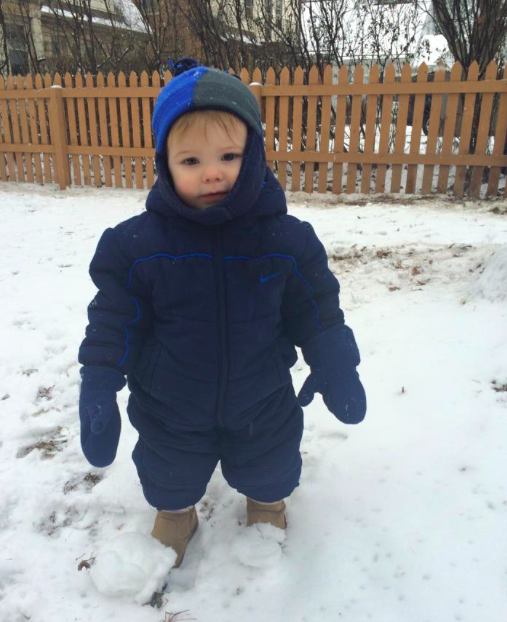 Have you guys heard that all the weather geniuses are predicting a warmer, dryer winter for southern Wisconsin? Music to my ears. I very much dislike the cold, and I like the snow for about a week. Fingers crossed that the predictions are correct. Winter 2014. Can't even handle the snowsuit. 4. If you missed my latest post on the MKE Moms Blog, check it out here. 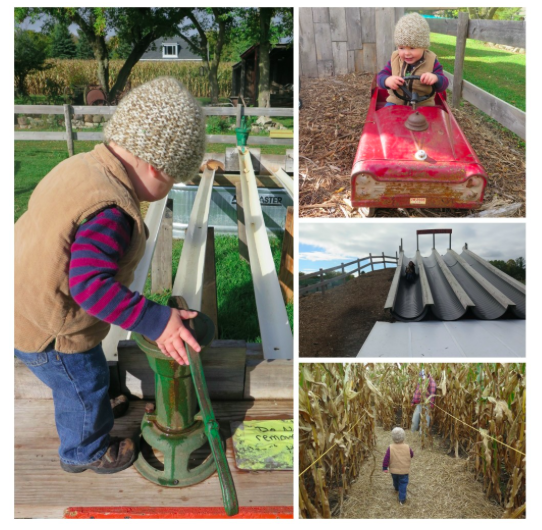 Callum and I went to check out Lindners Pumpkin Farm and had a blast.